I have been to Cannon Hall Country park many times. I have been visiting since I was a child and have even had a summer job at a plant nursery adjacent to the park. It has been many years since I visited and what used to be a normal working farm has now become a children’s farm and a large farm shop, café and delicatessen. The children’s farm is reasonably priced charging from age 3. 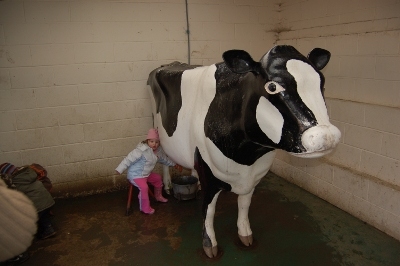 It does not have any event activities like Ash End House Farm, but you can buy food to feed some of the animals and there is a milking cow model. In the event of rain many of the animals are indoor, but walking between them is in the open. 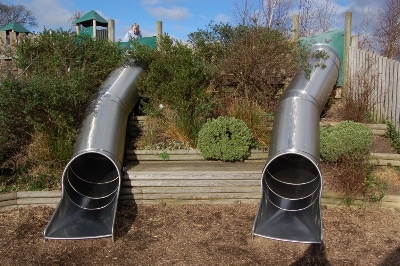 There are a large selection of playground equipment inside the farm, including some good slides. These constitute a significant feature of the farm. There is a cafe located just outside the main part of the farm providing good quality food. We had to hover a bit waiting for a seat and then a high-chair, but we did visit at a busy time. There are baby changing facilities in the cafe (I don’t know whether there are any in the other toilets). The farm shop and deli are worth a visit, one of the biggest ones around selling good quality food, but as per many farm shops a bit more expensive than supermarkets or your local butcher. There is a car park for the farm or in the country park. These are not related as the country park and associated car park is council run. 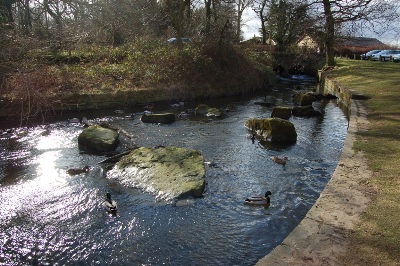 If you are planning to visit the farm then the farm car park is better, otherwise the park car park is nearer to the river and the local ducks. A very good day out at a more traditional children’s farm. Less activities than some alternatives, but this is reflected in the price. 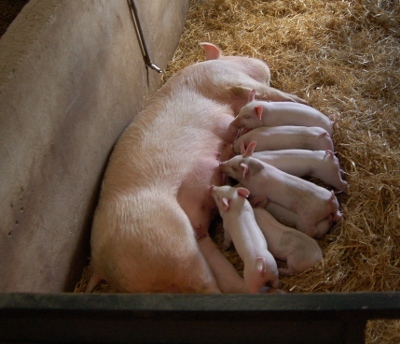 Cannon Hall Farm web site. This entry was posted on Monday, May 11th, 2009 and is filed under Babies, Children, General, Tourism. You can follow any responses to this entry through the RSS 2.0 feed. Both comments and pings are currently closed.